Getting to grips with the Apple Watch can be a challenge, which is why we've compiled this quick guide on your very first steps with the smartwatch. From downloading apps to using the control center and handling notifications, we've got you covered. We've updated this guide to reflect those changes, with the learning curve now smoothed for users jumping on board with their new smartwatch. Dive straight in and get to grips with your Apple smartwatch. The Apple Watch screen still drifts off at every available opportunity in order to save precious battery life. 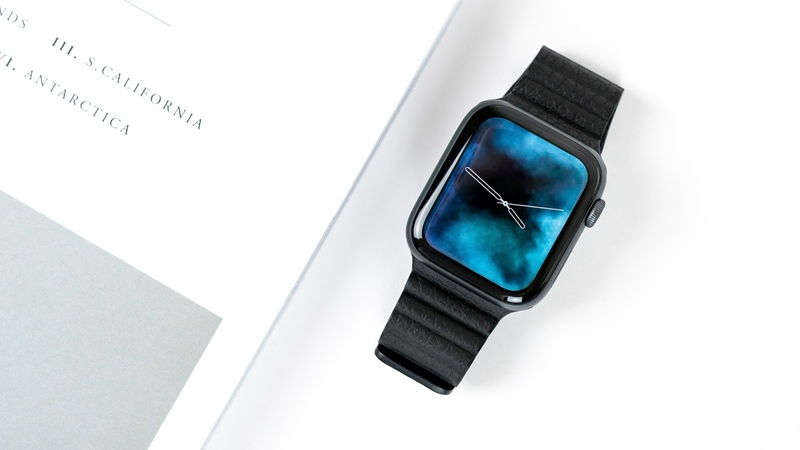 In theory, it should turn on when you raise your wrist and go dark when you lower it or don't interact with the watch for five or six seconds. The Series 4 is a lot better at recognising wrist raises, and you shouldn't find it difficult to illuminate the screen with a movement of your wrist. - A single press will activate the Apple Watch display if it's off. - A single press will switch between the watch face and the apps screen. - You can return to the apps screen when using an app with a single press. - Slowly twist to awaken the Apple Watch display. - Press and hold the Crown to activate Siri. The new haptic feedback offered on the Digital Crown on the Series 4 helps selecting and distinguishing different items on your Watch - like scrolling through music and podcast lists, for instance. From this screen you can check your battery level, place the watch into airplane mode, toggle silent and do not disturb modes, and ping your iPhone, if you've lost it. You also eject water from the Watch, which will prompt you to twist the crown to push the water out. Press-hold the Digital Crown or say "Hey, Siri!" to activate Siri. Say "Help" and Siri responds with a list of command categories; pressing a button gives you instructions and tips for the likes of setting alarms, quickly accessing apps ("Launch" or "Open" and then the app name), and finding basic information, such as local restaurants, movie times and weather forecasts. Siri is also often used within apps to enter replies and content. Should you want to punctuate your text, you'll need to speak the relevant characters in full. Instant Launch stores eight apps in the watch's memory – like a kind of app stasis – ready to fire into life, mitigating the Apple Watch's propensity for painfully slow loading times. Just swipe through and tap an app to, literally, instantly launch it. If you've got the new Watch Series 3 with LTE, then you have the option to leave your iPhone behind and make or take calls or stream music without having to be connected to your smartphone. You will need to pay extra for the luxury, so that's worth keeping in mind. To get this up and running we've pulled together a guide to setting up LTE on the Apple Watch Series 4. The ability to take screenshots has been turned off by default in watchOS 3, so you'll have to head into the Watch companion app to turn them back on. Go to General > Enable screenshots. Once you're up and running just press the crown and side button together to take a screengrab. The picture will appear in Photos on your iPhone. To rearrange your apps, tap-hold an icon until they all jiggle. You can then drag individual apps to a new location. The Apple Watch Home screen positions apps in a honeycomb fashion, which is awkward and clunky, but you can, with patience, organise apps in spokes or long bars. We recommend using My Watch > Layout on your iPhone for major re-organisations, if you fancy retaining your sanity. Or, if you don't want anything to do with this style, you can switch to a list view by holding down on the menu screen. To uninstall an app from Apple Watch, make the icons jiggle and then click the relevant cross button. You'll be asked whether you want to 'Delete App' or 'Cancel'. Tap the former. This won't affect the iPhone app. One of the Apple Watch's biggest gimmicks is sending your heartbeat and virtual touches via the Digital Touch feature. However, using it has always been a little opaque, and it's been increasingly pushed into the background. If your Apple Watch isn't working properly, restart its paired iPhone and also the Apple Watch. Your Apple Watch can be restarted by holding the side button until the power sliders appear, and then tapping Power Off. Turn the Apple Watch on again by holding the side button until the Apple logo appears. My screen went completely black and I can't seem to do anything else with it, it still makes sounds and tracks my steps.